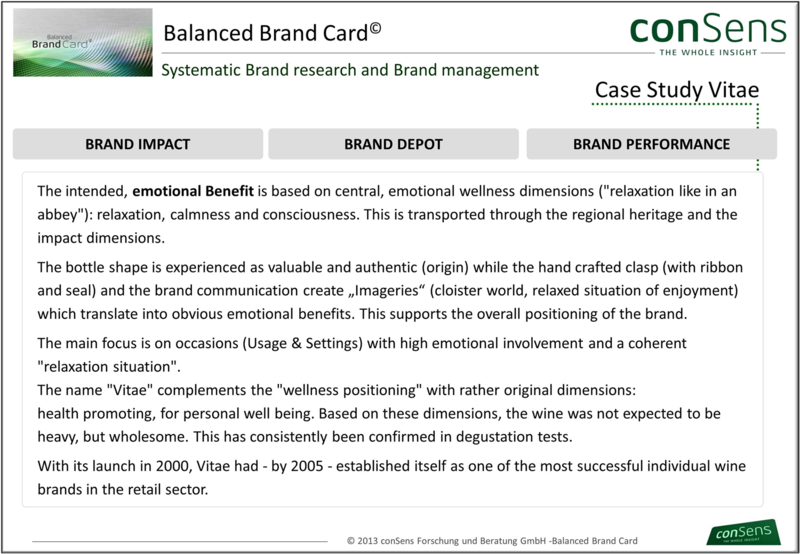 We always analyze all research results regarding their impact for the considered brand! 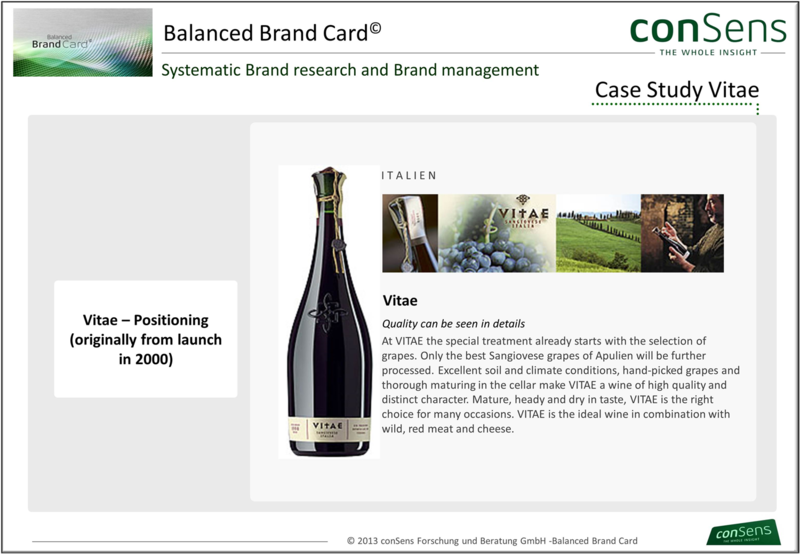 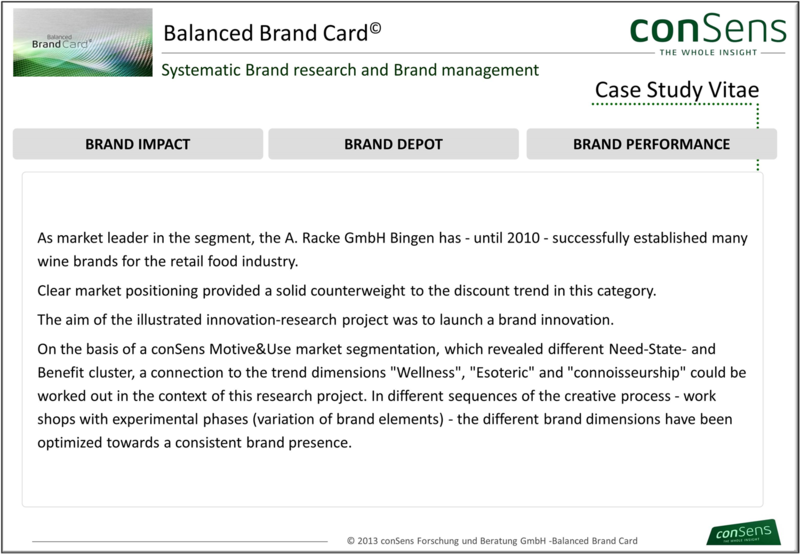 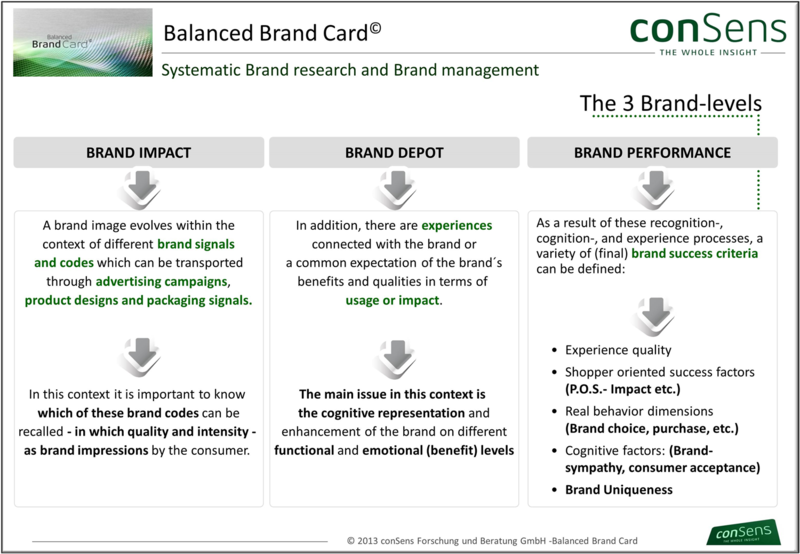 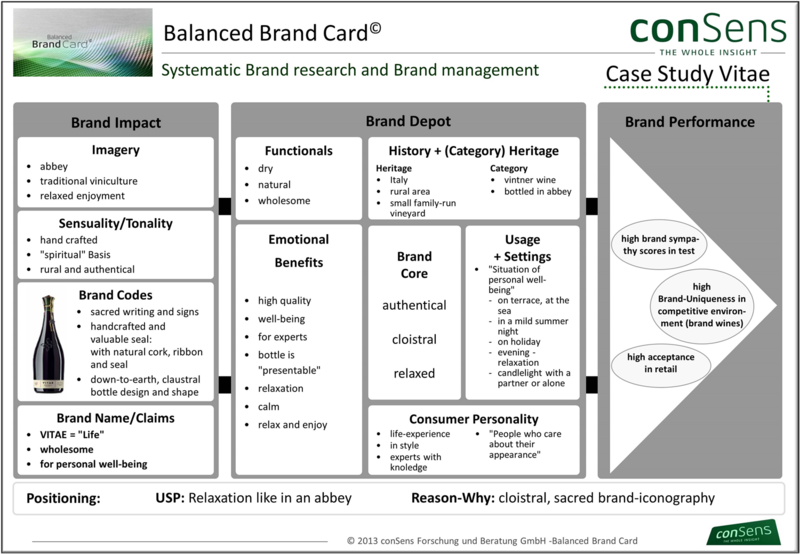 The Balanced Brand Card© developed by conSens, is a tool that is very well received among our clients, while also being a very demonstrative and efficient tool for brand research and brand management. 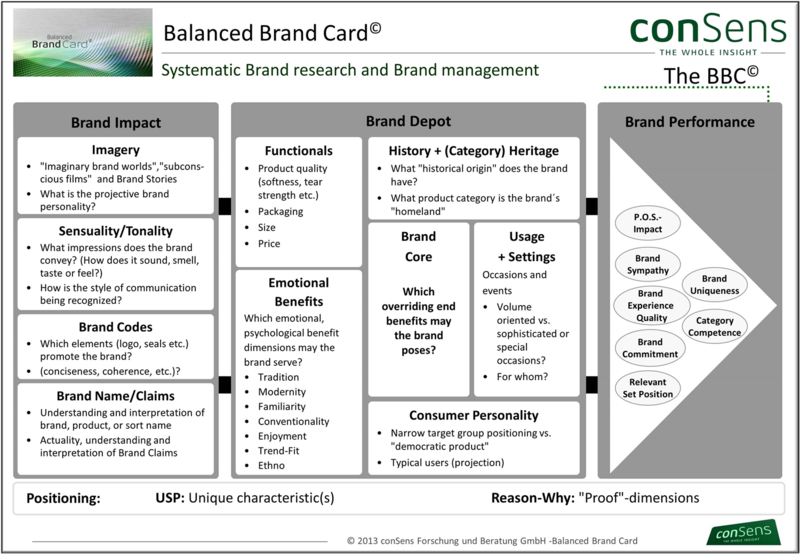 Systematic and successful Brand Management!